The LG G6 and Galaxy S8 introduced a visually-pleasing display with round corners – something you don’t exactly see everywhere. And while this particular detail can’t be considered a major change in design language, it’s tiny differences like this one that make a difference between stagnating and next-generation smartphone design. 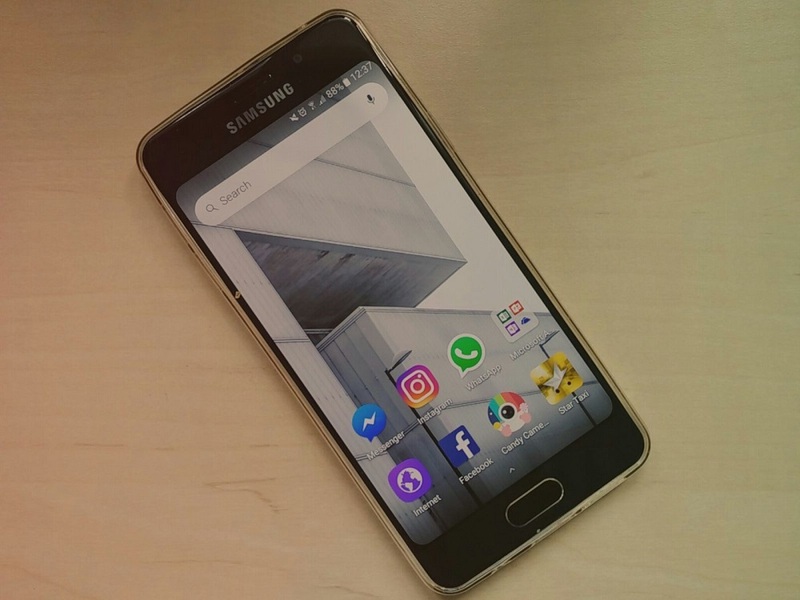 That being said, not everyone will have the money to buy an LG G6 or a Galaxy S8, but if the idea of rocking a smartphone with rounded corners appeals to you, you should know an alternative is available – just download and install an app on your phone and you’ll easily be able to get that round corner look your heart desires. It’s quite easy to start using Round Corners. Just install it on your device and start pimping your device. Note that when you get started for the first time, you’ll need to grant a few permissions. For starters, enable System Overlay in order to let it draw corners over apps. 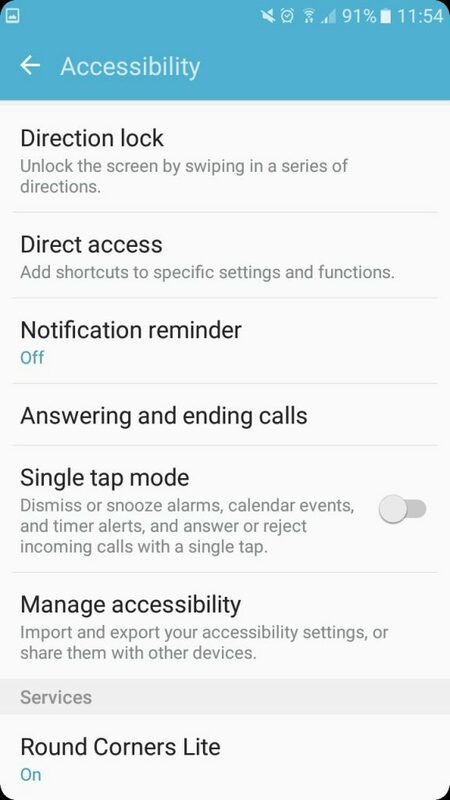 Secondly you have to enable Accessibility Service, which is required to get running app configurations. 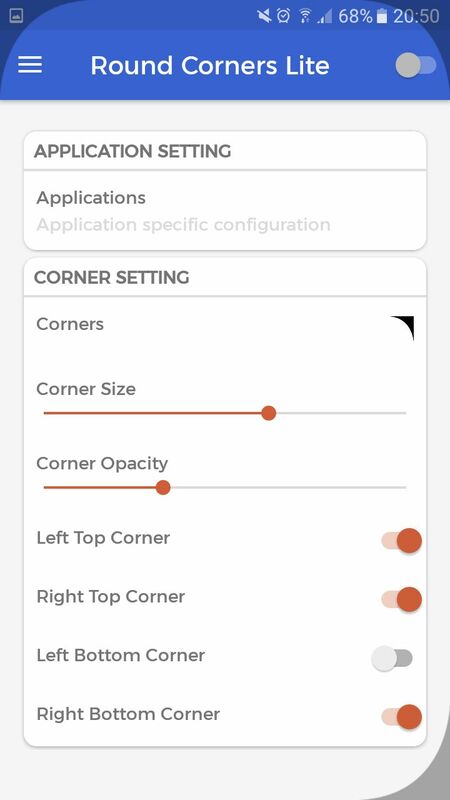 After that you’re ready to start customizing your corners. The app’s main screen is from where you get to toy with corner size and opacity. 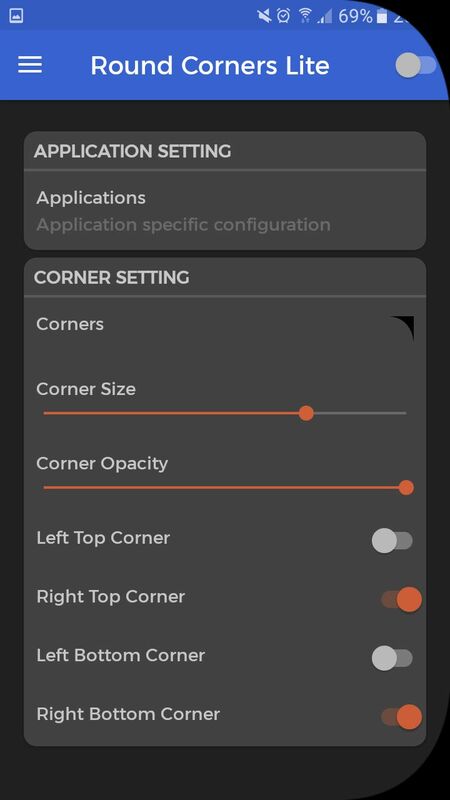 Round Corners also allows you to specify which corners you want to enable or to disable – so for example, you can have the app round only the Left Top Corner or Left Bottom Corner and get a more atypical look. 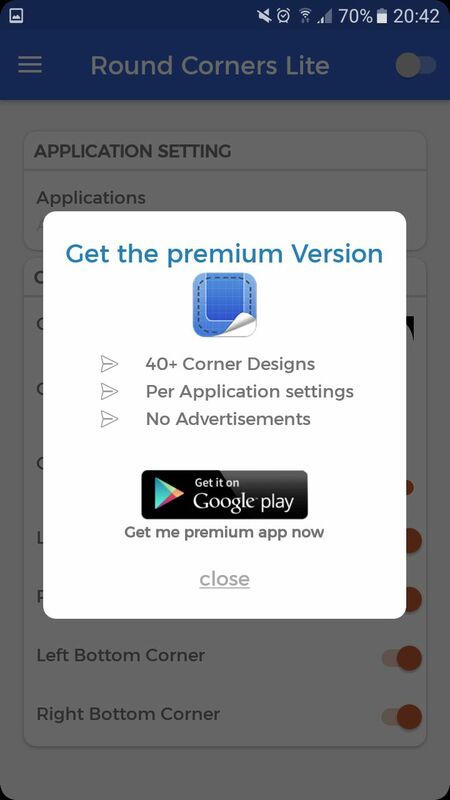 The free version only features one corner design, but upgrade to the Premium Version and you’ll get to choose from 40+ more. Furthermore, when using Round Corners you have the option of setting specifics looks for individual apps. Let’s say you want rounded corners in the Camera app, but not in the Email app – just go to the Apps section and specify which of your applications should get the round corner treatment and which shouldn’t. 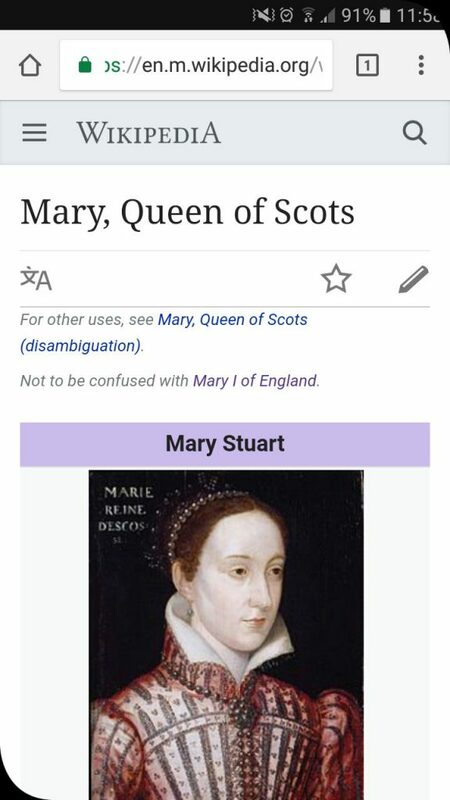 The app works well enough, however I noticed that once I maxed out the Corner Size, the edges of the display became quite unresponsive, to the point of which it got so annoying that I was forced to revert back to smaller corners. 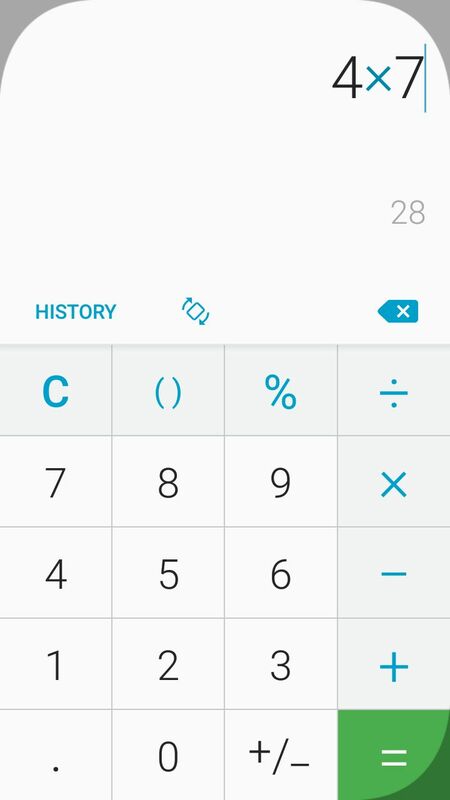 I’m not sure most users would like to have maximal round corners anyway – as they eat up a lot of space and make the phone look a bit odd. So the best thing to do, is to stick to more discrete corners. This allows the corners to seamlessly blend with the black body of your phone (assuming it does have a back body, but most phones do, so). On my Samsung Galaxy A3 (2016), more thicker corners also had the effect of covering the notifications appearing in the upper left corner – so you have to get the corners’ size just right in order to ensure this doesn’t happen. On top of that, sometimes corners are not exactly smooth and exhibit glitches. The app is also plagued by advertisements that appear out of the blue when you least expect it. When you try and modify the settings of individual apps, you’ll be annoyingly bombarded with pop ups suggesting you upgrade to the Premium version. Aggressive advertising is not the key, folks! 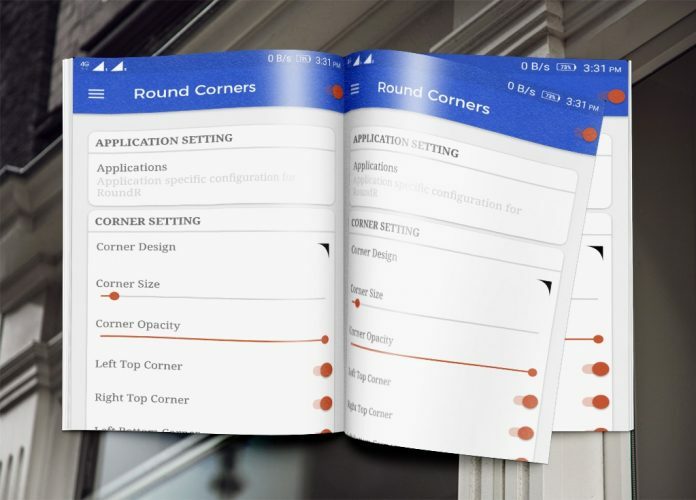 Surely, Round Corners won’t magically transform your Android device into the LG G6 or a Galaxy S8, but if you you’re bored with the square-ish look of your phone and are curious of how a phone with rounded corners would feel like in your hands, you can simply give this application a try. 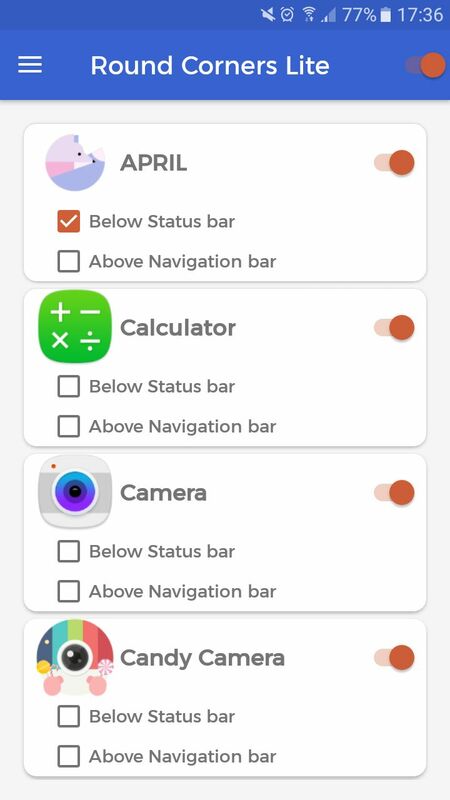 Sure the app isn’t perfect – the responsiveness issue near the corners are the main case of concerns, but given the case that the app has been last update on April 17, we’re hopeful the developers will fix the issue in the near future.